Walking around theme parks all day can get quite tiring, so it was good to include some rest days where we just stayed at the resort and relaxed by the pool. From the roof top of the resort you get a great view of the Disneyland Fireworks (which are only on the weekend during low season). 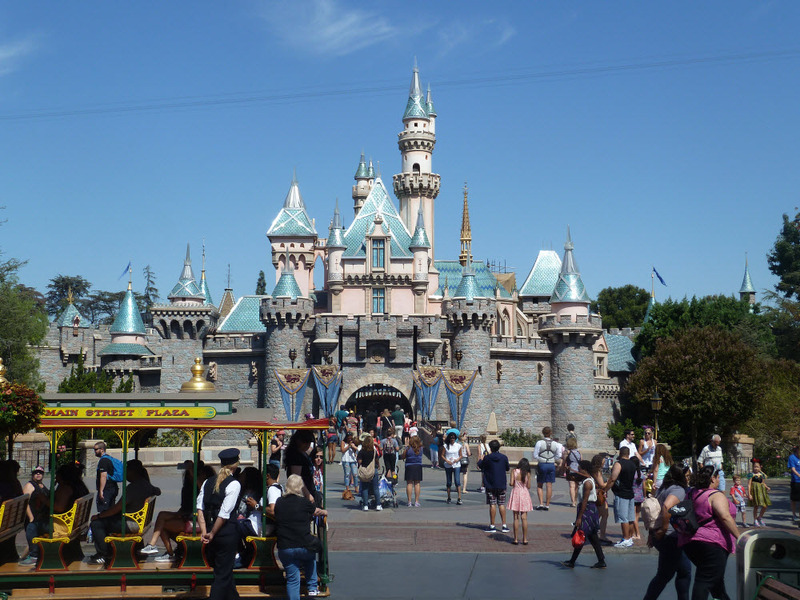 Anaheim resort is walking distance from the Disney Parks and some great restaurants. We took the train from Anaheim to San Diego. It was a pleasant train ride that runs along the coast. Not having a car, we used Uber to get around San Diego, which was very convenient and cheaper than using taxis. San Diego was a pleasant surprise. There is so much to do there that we were not able to fit it all in. We spent two days at the San Diego Zoo because my son wanted to see every animal there and you need two days to see it all. The highlights were the pandas, leopards, tigers and polar bear. The Skyfari was great for a view of the park. 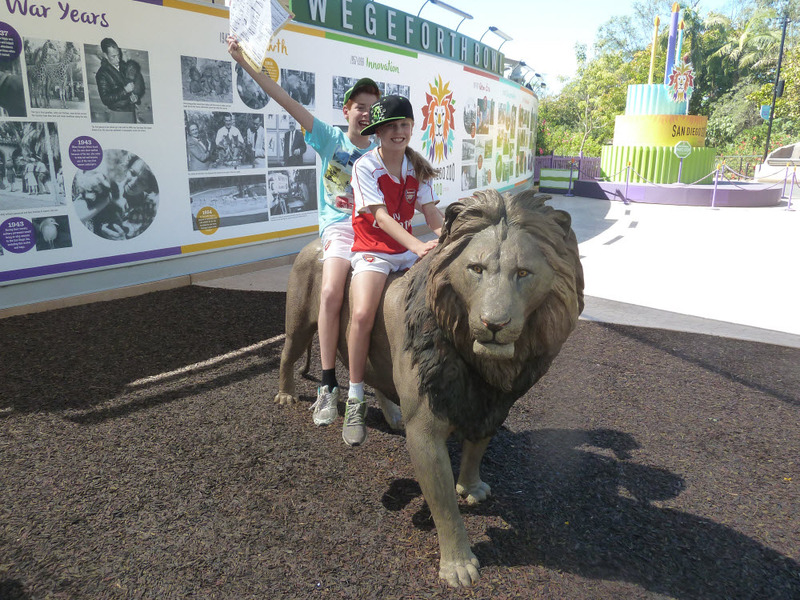 We also went to the San Diego Safari Park one day. They had a cheetah run, where you got to see a cheetah run 100 metres in 4.6 seconds. 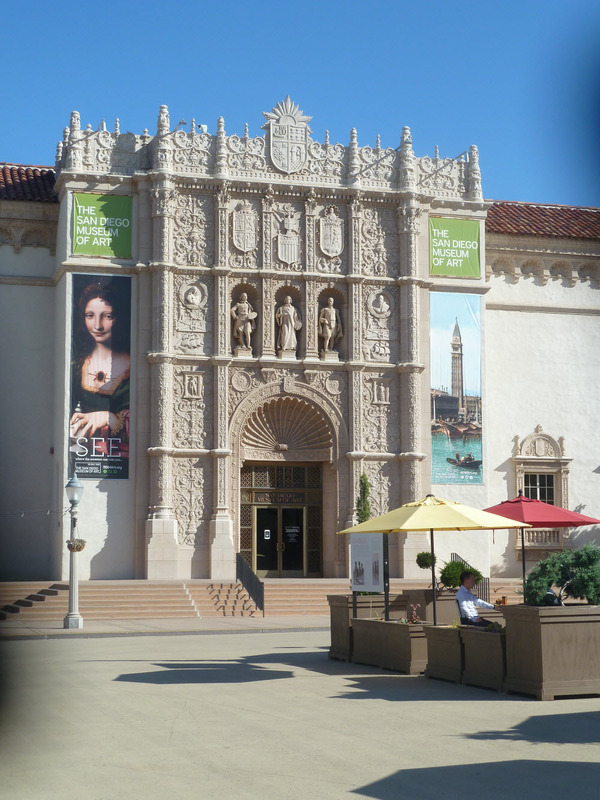 There are many museums in the Balboa Park area of San Diego. The architecture of the buildings has a Mexican/Spanish influence, with large piazzas. It was a pleasure just walking around and at times it felt like we were in Europe rather than the USA. We went to the San Diego Natural History Museum and the San Diego Museum of Art but there were many more. We ran out of time to go to Sea World and LEGOLAND. Most days there were some treats for the guests (for example cupcakes or popcorn), so we had a movie night by borrowing a DVD and enjoyed the complimentary popcorn. The resort is across the road from a park. One afternoon the children borrowed a soccer ball from reception and played in the park with my husband. It was a great holiday with some great memories. A must do if you have young children. This entry was posted in International, travel, vacation ownership, worldmark, WorldMark Resorts and tagged Anaheim, art, California, disneyland, family, history, holiday, kids, museum, San Diego, Sand Diego Zoo, timeshare, travel, Universal Studios, USA, vacation ownership, WorldMark South Pacific Club, Wyndham Vacation Resorts Asia Pacific. Bookmark the permalink.